A superannuated man is one who has declared too old to work by the company and hence forcibly retired from service. According to Albert, ‘no essayist is more egotistical than Lamb; but no egotist can be so artless and yet so artful, so tearful and yet so mirthful, pedantic and yet so human.’ His “Essays of Elia” expresses freely his whimsical personality and humour, his love of London and of the antique an peculiar in literature, in furniture, books and customs. 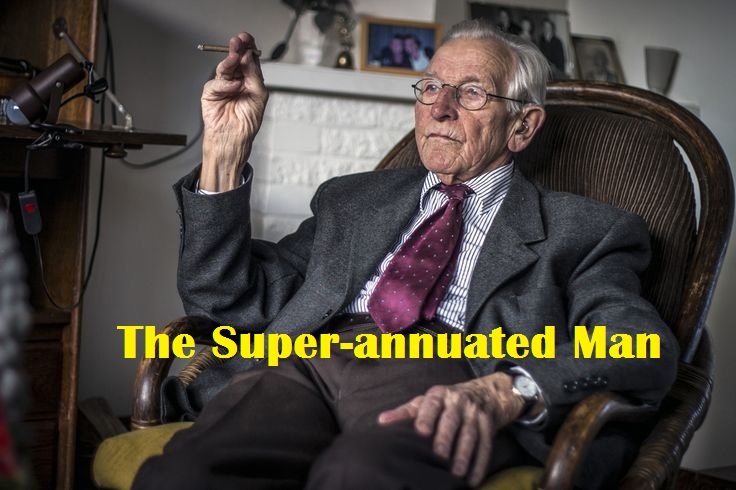 ‘The Superannuated Man’ is an account of Lamb’s lament of his life’s travails from his school days to the job in Counting House in Mincing-lane in London. 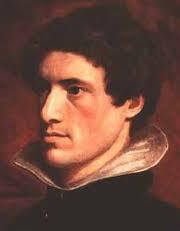 He took up the job at fourteen and languished there for ‘six and thirty’ years leading up to his retirement. The care-free, fun-filled school days were gone forever. At his desk in the firm, his life was mired by boredom and tediousness. The working hours often dragged on from eight to nine to ten hours. In the confines of the office, Lamb’s soul and vitally weathered inflicting pain that he could not endure. Yet he had to submit to the oppressive rigour of his office just as a jungle animal submits to its life in a cage till it becomes subdued and emasculated. Eagerly did he await the Sunday for a respite from his colourless monotonous work. Lamb had Sundays to himself. It gave him respite from the office, but the day was insufferably lifeless. The entire city of London slept on Sundays. There was not a trace of the hustle and bustle, the colour and fun, the glitter and cheer of London’s streets. The book shops, the restaurants and the shops bursting with their wares were all shut. Thus, the Sundays, too, failed to lift his spirits. Besides Sundays, Lamb loved the Easter and the Christmas holidays that allowed him to escape to his native place Hertfordshire where he indulged in his simple pleasures in gay abandon. This escape from his dreary office to his home’s rejuvenating environment helped him to banish his woes and recharge himself for another year of monotony and boredom. But the much-awaited seven days’ holidays came and went too fast. Before he could plan how to make the best use of it, it vanished. Another year of servitude to the dreadful job awaited him after this fleeting year-end holiday ended. The speaker was a miserable worker at the office. He detested the rigidity, inhumane and stifling environment pervasive in his work place. His mood often swung to extreme frustration. Enduring the relentless pain, both his mind and body shimmered in discontent. The anguish loomed large on his face. Slowly it debilitated his body. His self confidence deserted him. Fear of failure gripped his inner self. Slowly, the fear crept into his bed room. In the darkness of night, he wondered if he had made any mistake in the many entries and the number juggling he did during the course of his work in the office. He reached 50, with no hope of freedom from the stranglehold of his dreadful work. The speaker’s colleagues, puzzled at his pallid face and sagging spirit would inquire about his well being. Perhaps, his discomfiture in the work place had been taken note of by his employers, he feared. That lurking anxiety was very unsettling. One day Mr. L—, a junior partner of the firm, called him to his side and very kindly asked him the reason of his torment. Confronted with such a searching question, he admitted that he was finding it hard to cope up with the work pressure. Even he went to the extent of saying that he might have to leave his job soon. Mr. L — comforted him with some kind words. The matter stopped there. For a whole week after this encounter, the speaker regretted his indiscretion. He thought he should not have divulged his inadequacies. Some nervous times passed. On 12th April, a very tense moment arrived when he was asked to stay back after the office hours. He knew the doomsday had finally arrived and his dismissal from job was imminent. With fear pounding his heart, he tiptoed to the back parlour where the entire top management of the firm had assembled. On facing the team, he could see a small smile in Mr. L—’s face. Then Mr. B—, the senior-most partner began his long speech narrating how he had served the firm so long and with such aplomb. Mr. B– told it was time for him to call it a day. Bewilderment and fear made his blood race through his veins. He braced himself for the worst crisis to explode. Then, Mr. B — made some brief inquiries about his wealth and property. Finally, he declared that the firm would retire him soon, and give him a pension equivalent to two third of his salary! Other members assented with a mechanical nod. Lamb was overwhelmed with a deep sense of gratitude, joy, and relief. With his brain in a tizzy, he told them to treat that day as his final and thanking them profusely, walked home. For a moment he thought his company — the house of Boldero, Merryweather, Bosanquet, and Lacy – was the most caring company on earth. Lamb was in cloud 9. A ceaseless torrent of happiness raced through his mind. It took a long time for the just-retired (or just-freed) employee to let the joy sink in. For a while, he felt disoriented like the Bastille prisoner let free after four decades. He knew he would have all his time to himself. It felt as if he had entered the realm of Eternity. His elation knew no bounds. He felt he was a man of great wealth whose property was to be managed by a full-time manager. A mix of hallucinatory euphoria swept through his mind. Slowly and steadily, he got used to his new life with no job, no rigid routine, no fear, and no worries. He felt truly contented. When he felt he had too much time to spare, long walks, one of his favorite pastimes provided him the escape from boredom. The speaker also took to reading leisurely, selectively and joyfully. There was no need to pour over books straining eyes in dim candle light. Life thus began to fall in to an easy pace. When the speaker reminisced about the fifty years of past life gone by, he realized he had devoted a lion’s share of his time for the service of others. Now, he would have all his time for himself. Thus, if he managed to live ten more years, that would be equivalent to thirty years of his past life. Often, he felt he had retired long long back. The memory of his bosses and the colleagues at the Counting House faded from his mind quite fast. He visited his old colleagues in the office, and was received with a lot of warmth, bonhomie and banter. It made him to wonder why he had dreaded his desk so much when he was in service. Now, the environment appeared not the least unfriendly or oppressive. He bid good bye to his friends promising to come again, and imploring them to do their work diligently. He returned home to his restful and carefree life. He wandered around as he pleased, did what he liked, and lived the way that pleased him most. At times, he was in the Bond Street at 11 in the morning. He often dropped into Soho – his favourite bookshop. For him, time stretched endlessly. He felt as if it was thirty years since he retired. He thought about Fish-street Hill, Fenchurch-street, and the Stones of old Mincing-lane, which he had visited umpteen times in the thirty six years of his service. Deep in his heart, he felt as if time was flying past as he visited the Elgin Marbles. Was he passing to another world, he wondered. His mind experienced contrasting feelings. At times, it appeared life had become so uneventful. Time appeared to stand still. He lost track of the calendar. The yearning for the Sunday was not there. Nor did he experience the typical mid-week feeling on Wednesday. Saturday nights had lost their characteristics. Now all days of the week appeared equal with no torment, no anxiety and no worries. Now, the author could visit the church on Sundays without worrying about the scarce time being lost. He could visit a sick friend. He could pay an unannounced visit to a very busy person. He could tease him to join a pleasure visit to Winsor in the morning. He could even indulge in some social welfare work for the poor. He felt he was making the best of the ample leisure time at his disposal. The time was being well spent with no sense of boredom or guilt or laziness. He hated the factories and the offices that made life so insufferable with monotonous work. At the end, he sang the praise of his post-retirement life declaring how contented he was to have lived his life to its full. No regrets.